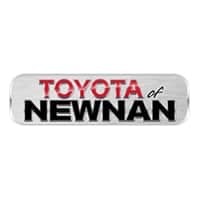 If you’re from the area, you know that the options are endless when it comes to car dealerships in Newnan, GA. At Toyota of Newnan, we’re delighted to share that our extensive new and used inventories, convenient location, and exceptional customer service sets us apart from the rest. If you’re in the market for a pre-owned Toyota Camry or another model, you’ve come to the right place. Who doesn’t love a shiny, new car? While they are tempting, the price tag is not. In addition to cost of the car and monthly payments, opting for used saves you the cost of depreciation that occurs within the first few years of ownership. Insurance rates are based on your car’s value and model year so an older car may benefit your wallet from the very start. If you love features as much as we do, you’ll be able to have the ones you’ve been dreaming of for less when you choose an older model year. Our inventory is stocked with pre-owned Toyota cars and our expert team is ready to get you behind the wheel of one that exceeds your expectations. Call us today at 770-502-1333 to begin scheduling test drives. We also carry Certified Pre-Owned (CPO) vehicles! If you’ve found the pre-owned Toyota car or SUV that you want to bring home, kick-start the financing process by applying for credit on our website. Next, get an idea of how much your monthly payments will cost you with our Toyota payment calculator. If you’ll be trading in your current ride, be sure to utilize our trade-in value tool. These online steps can expedite the process significantly when you arrive at our Fayetteville, GA, Toyota dealership. Our team of Toyota dealers serving LaGrange awaits your arrival. Be sure to bring a list of questions and your driver’s license to test drive your desired vehicles and stop by our Toyota dealership at 2 Herring Rd. when you’re ready to take the next step. We are looking forward to working with you and getting you on the road in an ideal pre-owned vehicle in the near future!